In 1974, Congress passed the Employee Retirement Income Security Act (ERISA). This federal law created minimum standards for private pension plans. While ERISA does not mandate that employer have to establish a pension plan, it does define the minimum standards for plans and how it will administered. ERISA is large and complex law; it occupies over a 1000 sections of the United States Code (where the laws created by Congress are codified) and has many more administrative code sections that interpret and clarify the statute sections, located in the Code of Federal Regulations. What it does not cover are benefit plans for government and church employees, workers’ compensation plans and certain disability plans. An important element of ERISA is that it “preempts” state and local laws, which “relate to” employee benefit plans. This ensures uniform standards nationwide; however, it can sometimes mean state laws created to protect employees cannot apply to an ERISA plan and its participants. Denied Benefits from a Claim? If you believe you have been unfairly denied benefits from an ERISA disability health plan, you have a right to sue for the benefits, and potentially some other damages. 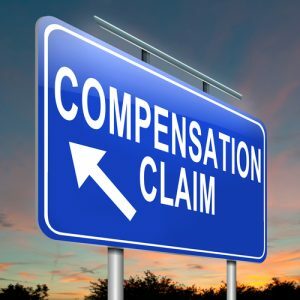 When suing for a denied claim, you may recover the benefits themselves, clarification of your rights under the plan going forward and potentially attorney’s fees. ERISA is a very complex law, and its interaction with the insurance contract language that defines most employee benefit plans is likewise complex. This means plan participants challenging a denial of a claim generally are at a disadvantage, as the attorneys who work for the plan and insurance companies may only work on ERISA cases, and be intimately familiar with the process and procedure. Unless you are a Philadelphia ERISA lawyer who has been injured and is challenging a denied claim, you may find yourself overwhelmed by the material. While the claim process is administrative and does not take place in a courtroom, should you need to appeal a denied claim, your documentation and other evidence will then be reviewed under a more rigorous standard by a court. Plan participants often represent themselves during the early stages of the claim process, and there is no requirement for attorney representation. The decision is based on the documentary evidence assembled during the case. This means that some plan participants who are represented early by a Philadelphia ERISA lawyer may have a greater likelihood of success, as they will have had a better opportunity to fully develop the vocational and medical evidence during the administrative portion of the process. This helps ensure that all necessary and significant evidence is already a part of the record of your appeal, lessening the chance of an appeal failing due to some critical piece of evidence being excluded because a later court decides the record is fully developed. While it is not always necessary to have counsel handle a claim, if there is any clues during the administrative part of process that a claim could be denied, having the assistance of a Philadelphia ERISA lawyer early can be helpful. A Villanova long term disability lawyer who understands the process can help your gather the documents and records necessary to demonstrate the validity of your claim. They develop the arguments that articulate your disability to help ensure you can bring the strongest claim possible. To arrange a free initial consultation with an experienced ERISA attorney in Philadelphia, PA, Call Philadelphia disability insurance law firm of Edelstein Martin & Nelson, LLP at 215-858-8440 or contact us online.